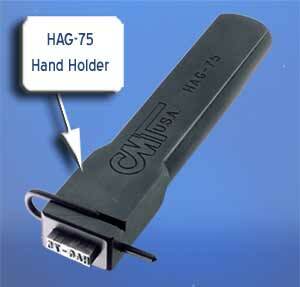 Groove steel stamps are held into a holder with a spring clip or pin. This pin is made of spring steel, and is designed to withstand impact forces. The following character sizes are available at discounted prices through our online store: 1/16", 3/32", 1/8", 3/16" and 1/4". 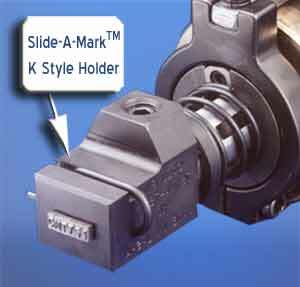 Groove stamps come in a variety of standard configurations: CMG, CMC and CMV. 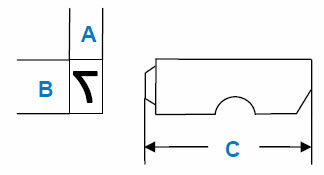 Custom sizes can be ordered by providing the blank information. 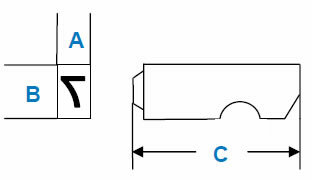 Reverse Groove stamps are the same as the standard, but with the groove located at the top of the character. 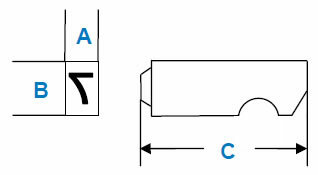 Denote reverse groove option as follows: CMGR, CMVR, CMCR.